The Dim Sum Diaries | The Boathouse | "One cannot think well, love well, sleep well, if one has not dined well." 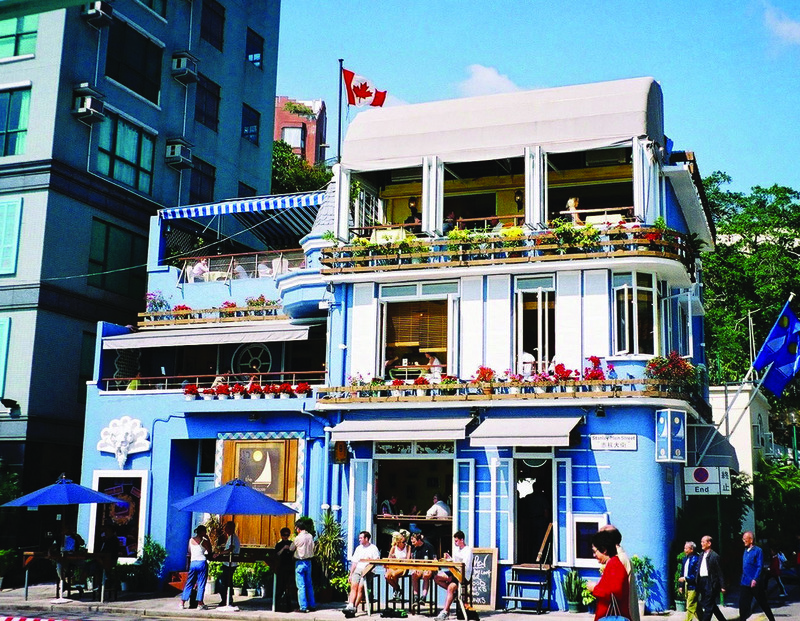 Part of the lure to Hong Kong is that there are so many beautiful places to visit on weekends that barely require leaving the city. 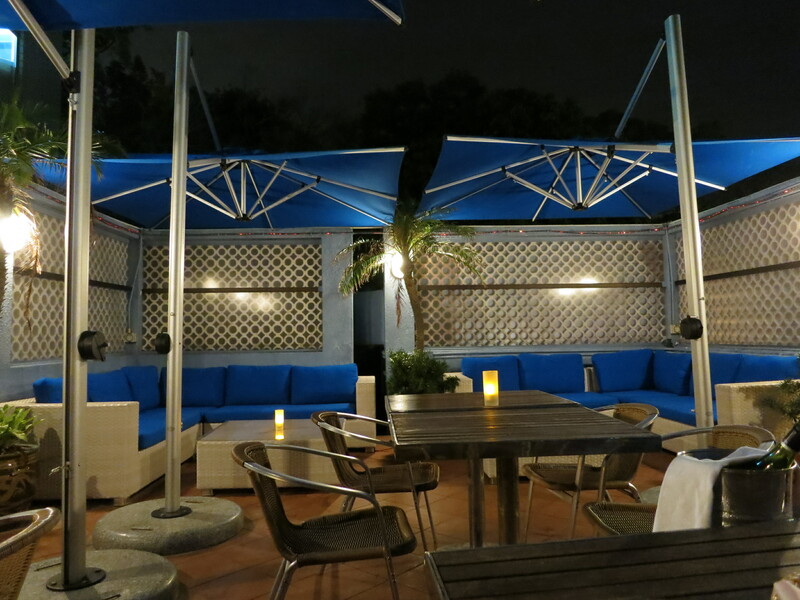 A recent weekend ‘staycation’ at The Stanley Oriental Hotel led me to finally try Café Deco Group’s The Boathouse. The moment we arrived in Stanley on a Friday night after work, we immediately felt as though we were holidaying at a European seaside town. The Boathouse was consistent with this feeling; as we were led up to the roof on the third storey of this beautiful marine-themed building, all the worries and stresses from a long week at work melted away, allowing us to fully believe we were on holiday, even if just a brief one. 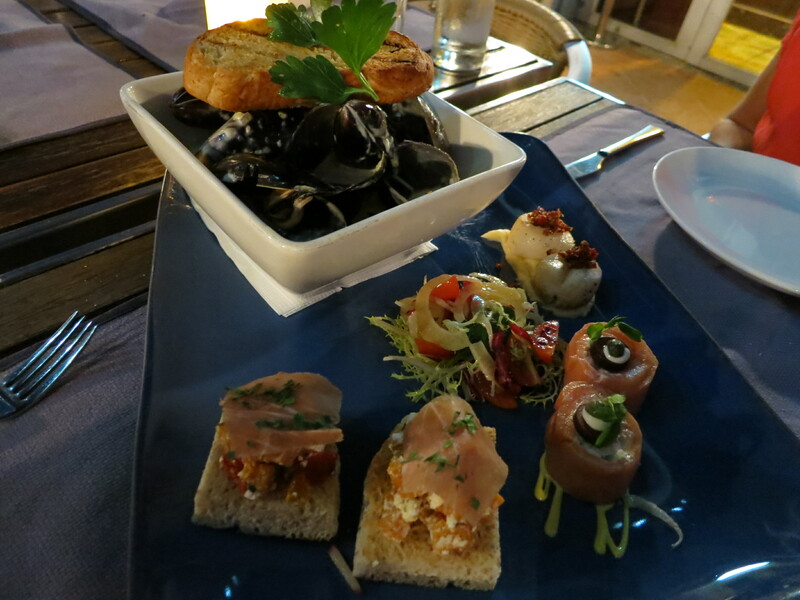 As we ogled the gorgeous, peaceful bay beneath us, we were served a selection of starters. While the seared scallops with celeriac purée, pancetta and semi-dried tomatoes had a wonderful texture, they were unfortunately somewhat lacking in flavour. The smoked salmon and crab rolls with a cherry tomato and apple salad however were utterly perfect in both texture and flavour. The crostini with roasted pumpkin, feta and Parma ham weren’t anything to write home about; again they lacked flavour and the bread was a little soggier than I’d have liked. But really, the absolute star of the starters were the black mussels in white wine garlic cream sauce; the mussels themselves were wonderfully fresh and meaty, bathed in a delicious broth that I could not refrain from using as a dip for the crusty bread. 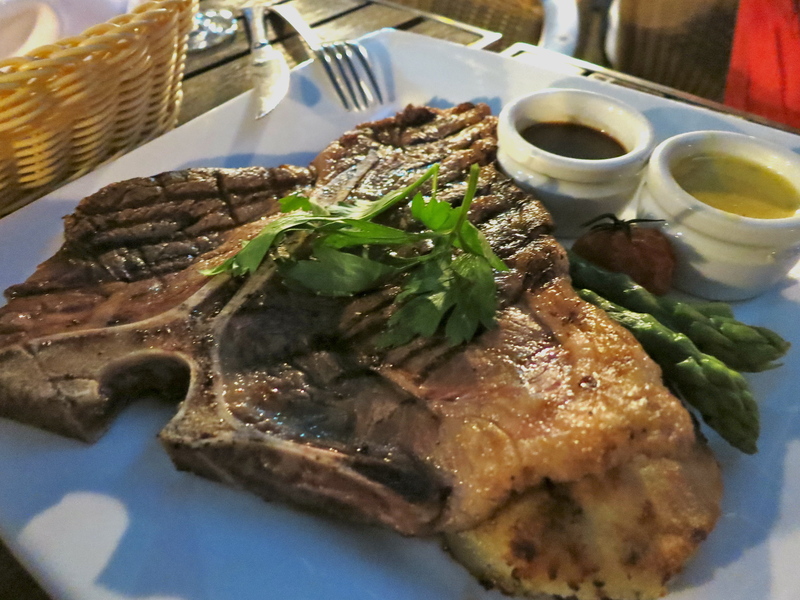 Onto the mains, the grilled T-bone steak was delicious and tender, served with feta cheese rosti and crunchy asparagus. My side of the T-bone was unfortunately a little on the fatty side, but, once the fat was out of the way, the juiciness and rosemary-infused flavour of the meat made up for it. 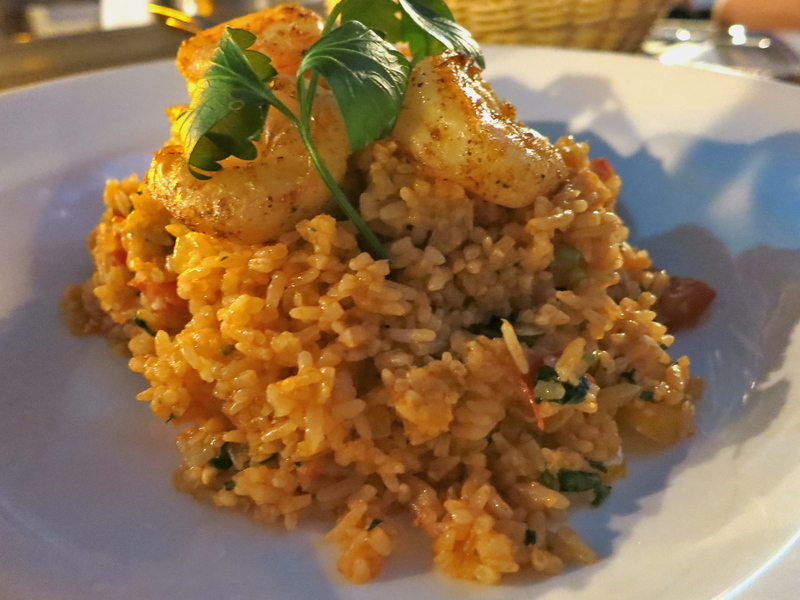 The king prawn jambalaya with chorizo, tomatoes and coriander was comfort food at its very best, with a distinct spicy kick that made it even better. My only request would be for more chorizo, as it was so tasty that we both battled over the last remaining pieces! For dessert, it would have been a sin not to have the ‘Death by chocolate’. 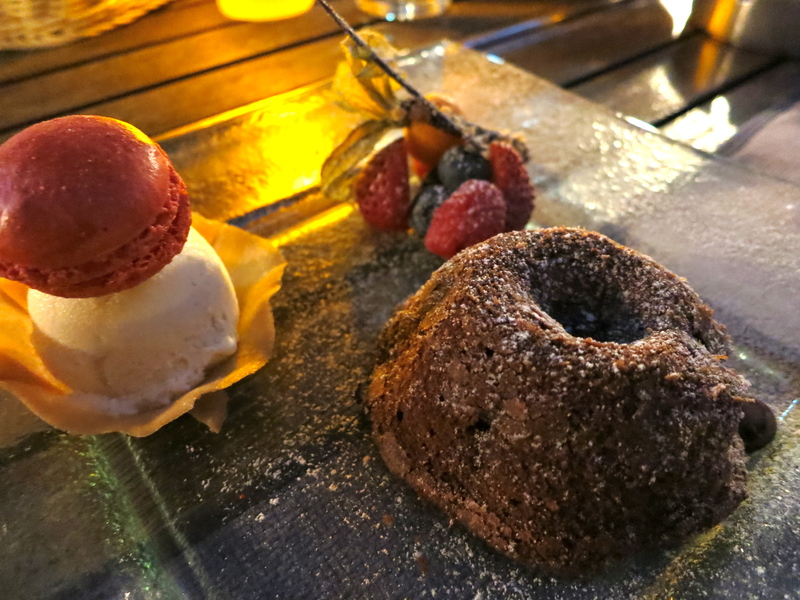 This warm chocolate fondant passed the fork test with flying colours, oozing delicious molten chocolate at the gentlest prod and pairing wonderfully with the sweet vanilla ice cream. 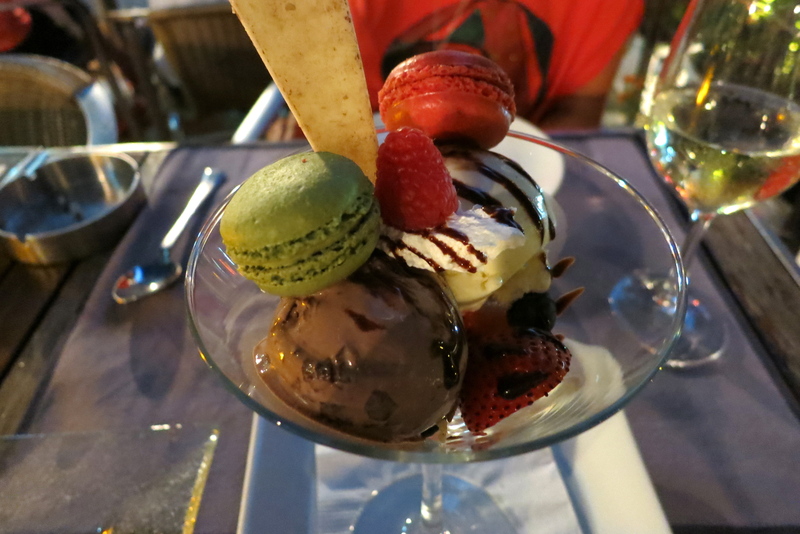 We also shared the Boathouse coupe, the restaurant’s version of an ice cream sundae, with chocolate and vanilla ice cream, chocolate sauce, fresh berries and macarons. Unfortunately said macarons were rather dry, suggesting they were far from fresh and certainly not homemade. The highlight, for me, was really the chocolate ice cream, containing exciting hidden chunks of smooth dark chocolate. Service at The Boathouse is very good, particularly if you’re one of the restaurant’s many regular customers. The staff are welcoming and friendly, always ready to give their valuable advice about the menu. Prices aren’t low, but neither are they extortionate, with starters between $100 and $300 and main courses ranging from $200 to $300. The food isn’t out-of-this-world amazing, but it is wholesome, down to earth and pretty tasty, served in a setting that will instantly transport you to the beach holiday of your dreams; what more could you wish for?